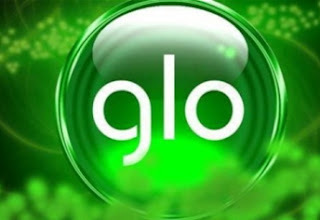 You will recall that couple of months ago, Glo introduced a special data offer that give all Glo customers the ability to get 1.2GB of data for just N200 and irrespective of the Glo tariff plan that you are in, with 3 days validity period. It is sad to note that Glo has secretly decommissioned the plan thereby removing it from the special data option of subscription code. Presently, if you dial the Glo data subscription code, which is *777# and reply with the number options that will lead you to the subscription of special data offer, you will no longer see the special data package but you will be left with only the Campus Booster plan that we consider not a wonderful plan. Well if you are not happy like many other Glo subscribers out there that have been using the Glo special data offer as means of getting cheap data, all hope is not lost for MTN has almost similar plan that offers subscribers 1GB for N200 with 7 days validity period. This offer from MTN is called the Winback offer. Although the drawback of the MTN winback offer is that not all SIMs are eligible as it is SIM selective, but there is always no harm in trying out your SIM if it is eligible for the offer. To check if your MTN SIM is eligible, simply dial the subscription code for the MTN winback offer, which is *131*65*2# and proceed to subscription and the reply that you will receive will surely let you know if your SIM is eligible or not.